In 1910, a three-row, Coney Island-style Carousel was brought to the Silver Beach Amusement Park in St. Joseph. The machine had 44 hand-carved horses for riders to choose from. The park closed in 1971, and the Carousel was purchased and taken to New Mexico. Missing the fun it brought, several individuals formed the Silver Beach Carousel Society in 1997. Suz Schalon headed up the effort to gain sponsorships from throughout the community to fund the creation of a new carousel hosting 48 figures. 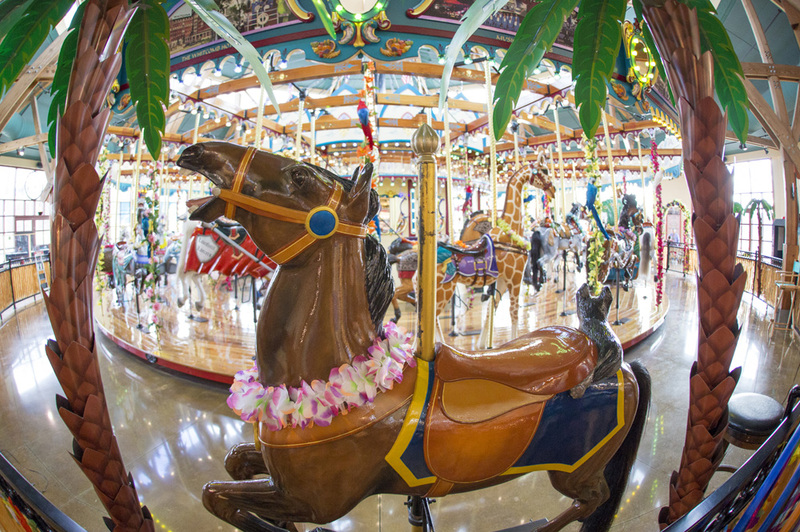 On January 2nd, 2010 a brand new, history-making carousel rang its bells for the first time. Donating to the Silver Beach Carousel Society will help ensure its doors stay open for years to come.